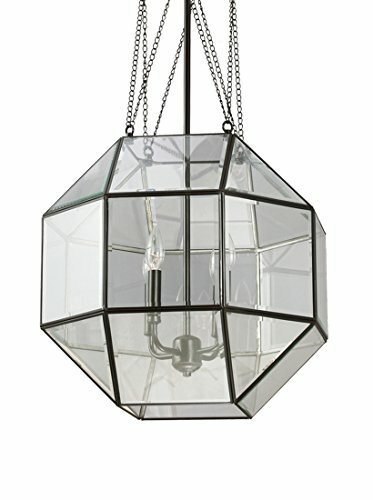 The masterfully crafted Lazlo pendant collection by Sea Gull Lighting features Clear or Mercury glass panes (24 in all) secured within an octagonal frame in an Heirloom Bronze finish to create a captivating appearance of a faceted orb. Dramatically hanging from uniquely cross hatched chains, the fixture is open-ended at the top and bottom to allow a touch more illumination. The assortment includes small and medium one-light pendants as well as medium and large four-light pendants. All the one-light designs easily convert to LED by purchasing LED replacement lamps sold separately.